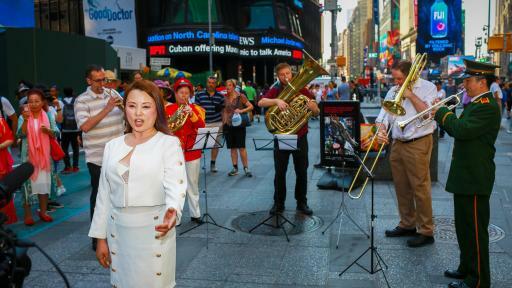 Passionate melodies, the performance of different color performers, the audience's warm applause. 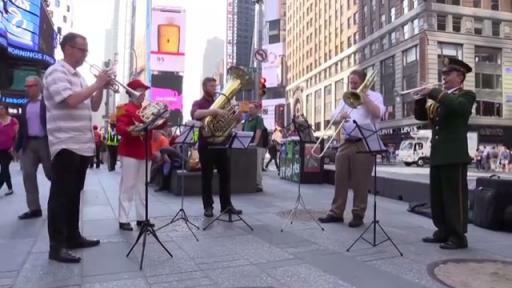 Recently, the flash video of 7 musicians playing heroic songs in Time Square has become a hot topic on the Internet and Moments. It is understood that the flashmob is one of the “Nanchang International Military Festival” activities, “Nanchang Military Festival” is a series of activities to bless the motherland for the 68th anniversary of its founding by the Nanchang City Travel Association, while promoting the city brand image of Nanchang which is called “the City of Heroes”, and establishing the international cultural ties between Nanchang and the world. 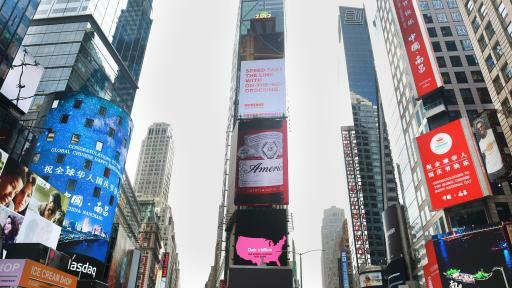 In the video, a dressed musician played melodious jazz in the endless stream of visitors in New York Times Square in the United States, attracting listeners to stop and listen. 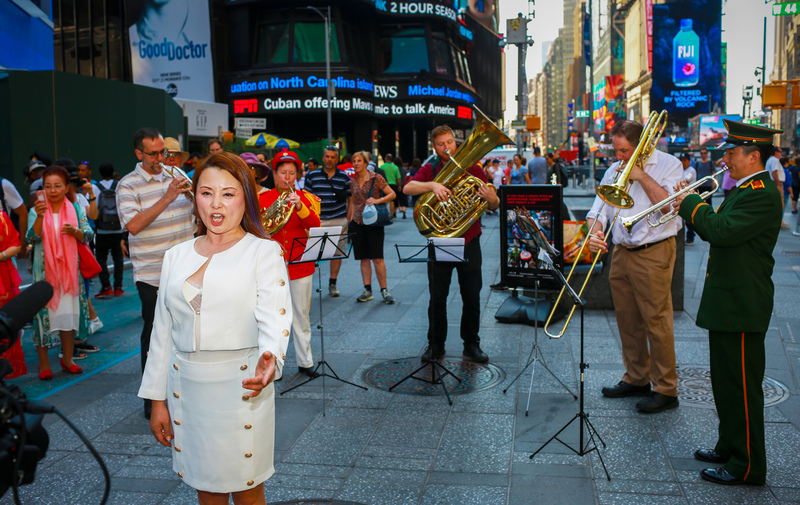 When people just get into the jazz joy, three musicians walked out of the crowd to participate in the play, the music became more cheerful and clear, infecting with each listener at the scene. 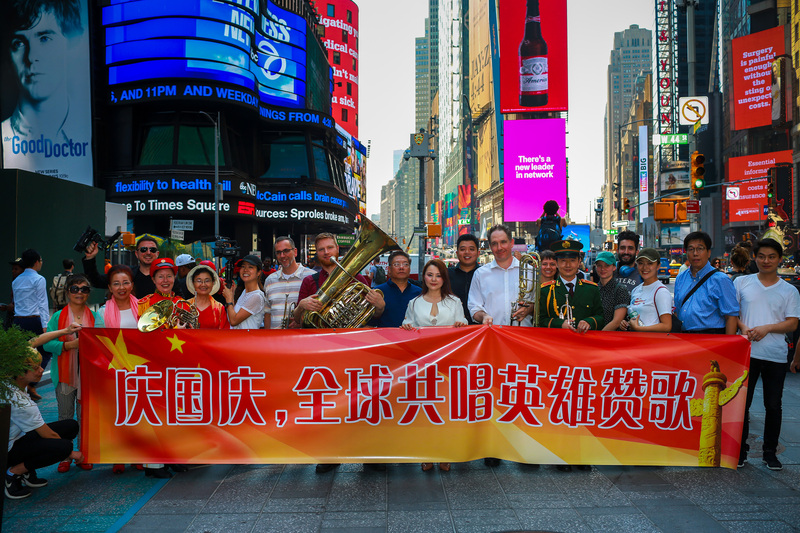 Suddenly, a performer dressed in American Art uniforms entered the performance area, played the American military music with the instrument in his hands, and at the end of his performance, the passionate, exciting melody of “March of the Volunteers” was played in the square. The eastern and western music crashed together so beautifully. 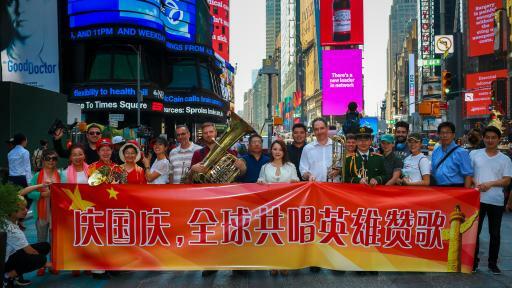 Sixty-eight years ago, China, this Oriental dragon starred in the world to send the most heroic voice: “the Chinese people stood up!” The Giant's cry shocks, so that the mountains respond, the sea Echoes! 68 years later, the “Chinese dream” carrying the longing of1.3 billion souls, once again to show the world the strong Chinese power and the essence of China. Nanchang this lively and yet elegant way of flash, both make people enjoy the impact of the art, but also let the world see the ancient city of Nanchang, with a long history of culture. 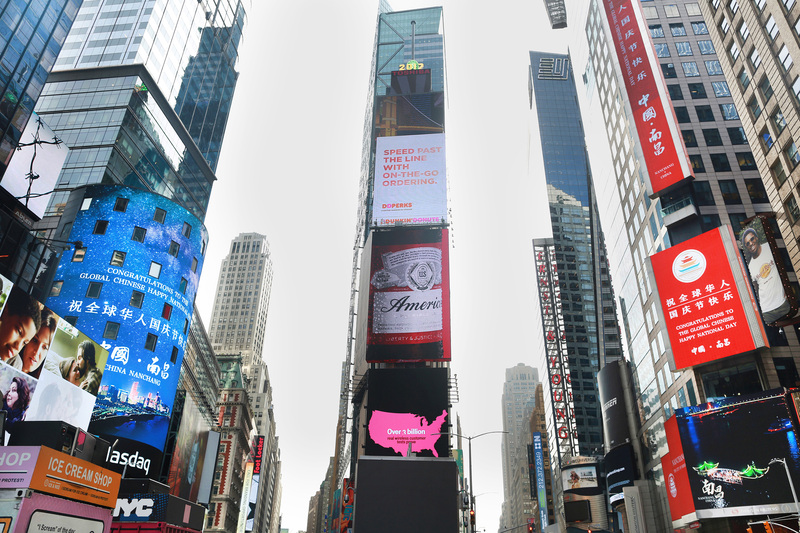 As part of the motherland, to be proud of it and make it proud is the responsibility of every Chinese people. 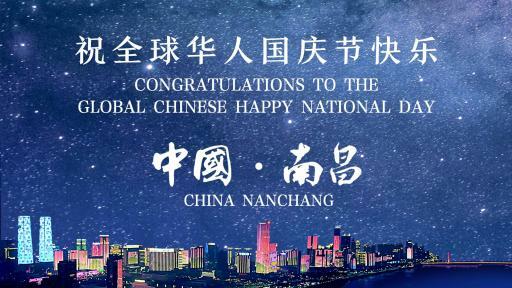 Nanchang is blooming its own glory with a majestic gesture in the world, contributing its strength for the realization of China's dream! 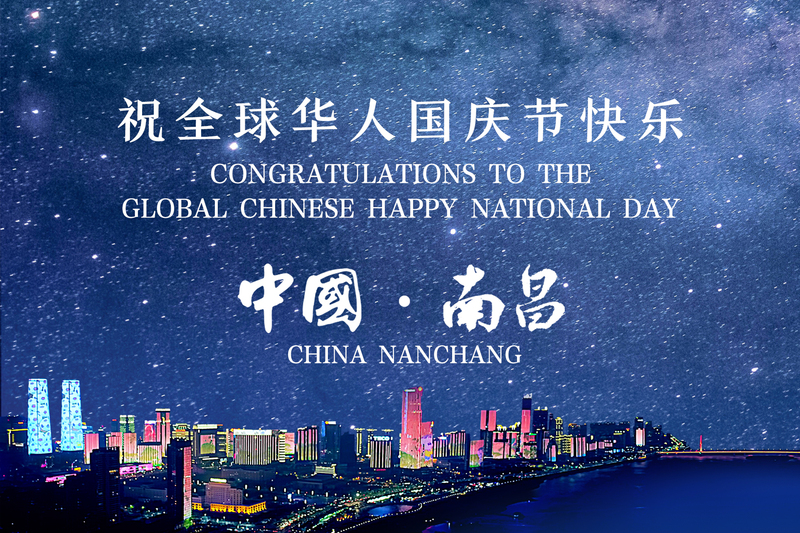 Every Nanchang people is willing to change the patriotic sentiment to patriotic forces, and will make our country more and more prosperous!